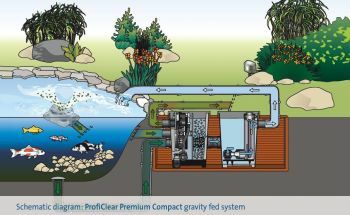 The Proficlear Compact Pump Chamber is designed for use with the gravity fed Proficlear Premium Compact Gravity Filter. 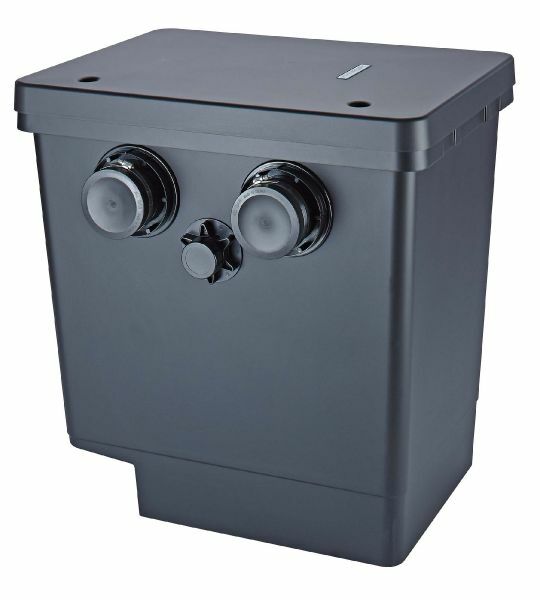 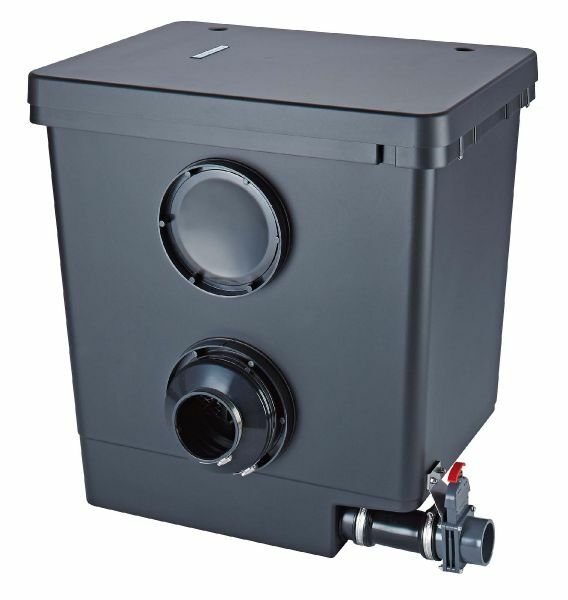 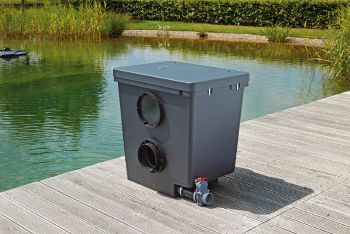 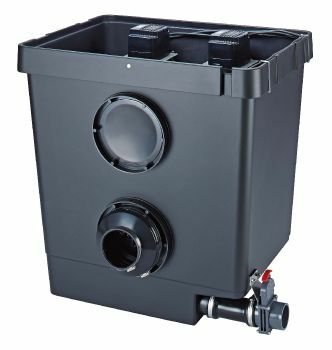 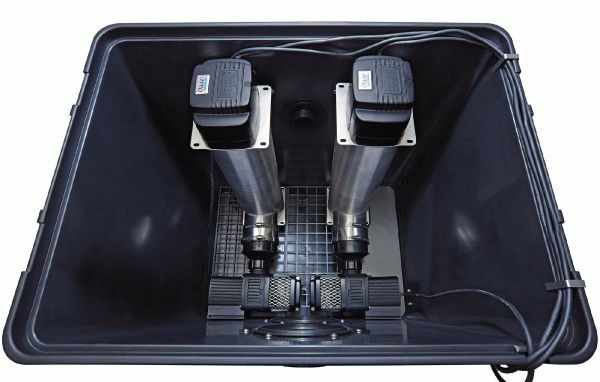 The Chamber is connected directly to the outlet of the Proficlear Compact Filter Module and can be used to conveniently mount pumps and ultraviolet clarifiers before returning the water back to the pond. 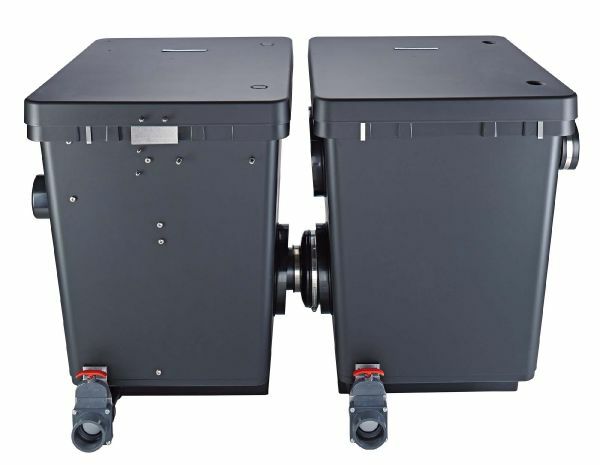 Up to 2 x Aquamax Gravity Eco 10000 Pumps can be installed in addition to 2 x Bitron Gravity 55 watt UV Clarifiers for optimal water flow and filtration performance. 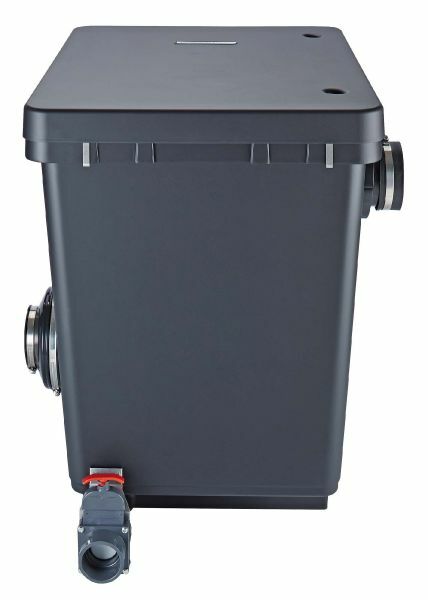 Both the Pump Chamber and Compact Drum Filter can be buried at water level in a gravity fed scenario creating a discreet and compact filtration system via bottom drains and skimmers if desired.